While ear-licks and wet-nose kisses are always a welcomed bit of affection from furry friends, they're best left for at the park or home… never in a moving car. 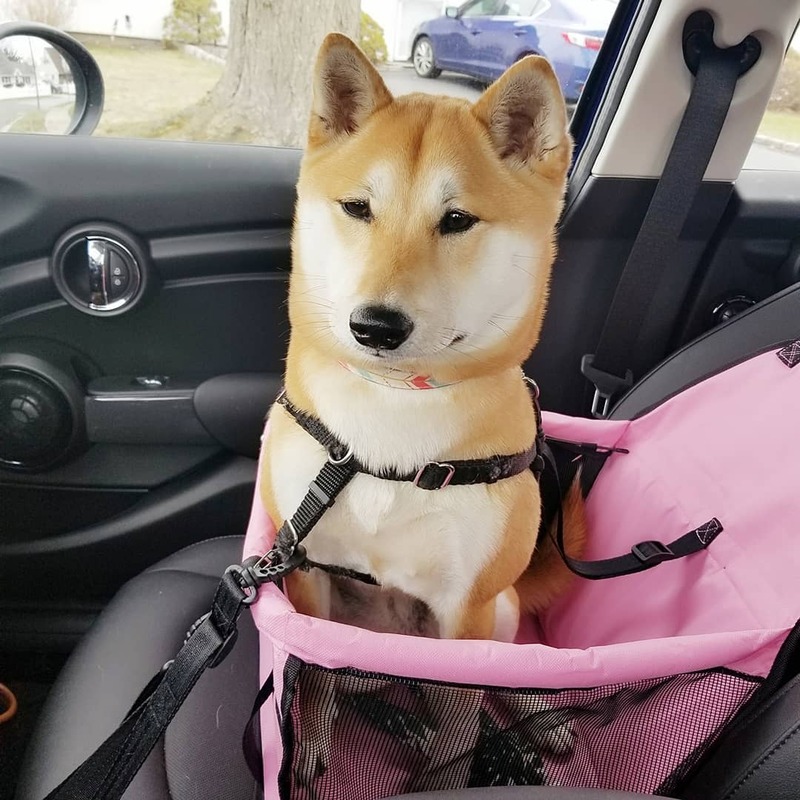 Keep your pet safe and sound and get rid of driver distraction with the Waterproof Pet Carrier For Car Travel. 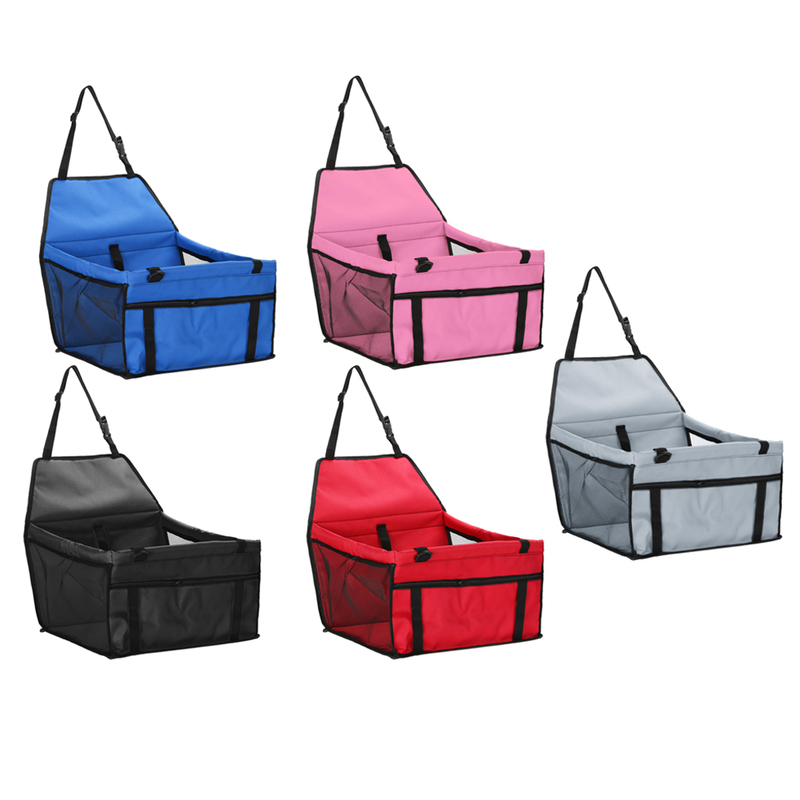 It attaches to your car seat and has thick, soft edge for added safety and protection. And when you reach your destination, convenient handles just let you unbuckle and carry your pet pal with you. Perfect for traveling in style and comfort. Includes mesh windows for breathability and ventilation. Front and top zippered mesh windows keep interior ventilated. 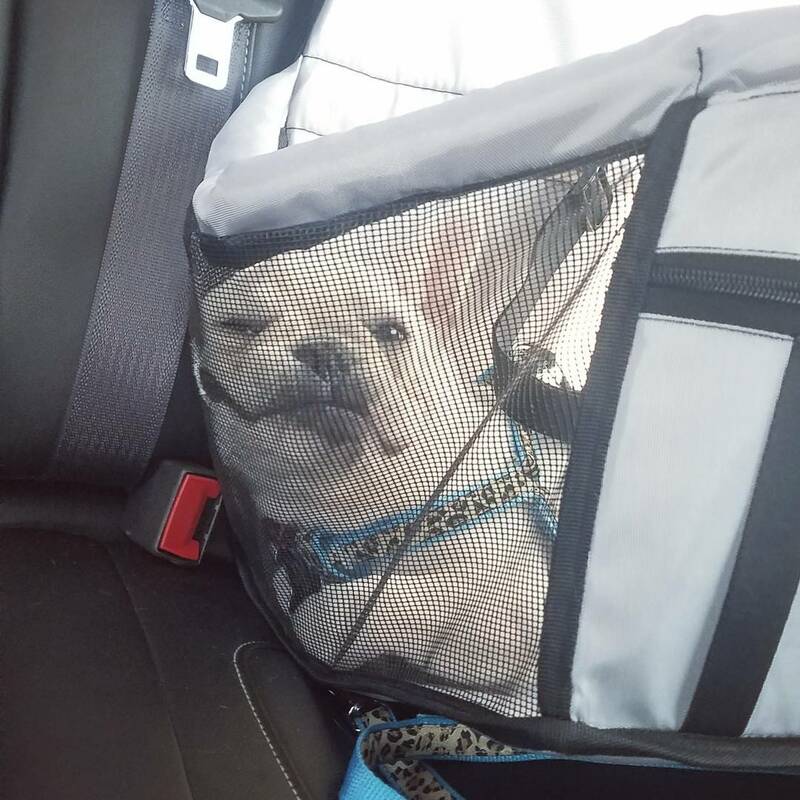 2-in-1 car seat and pet carrier. 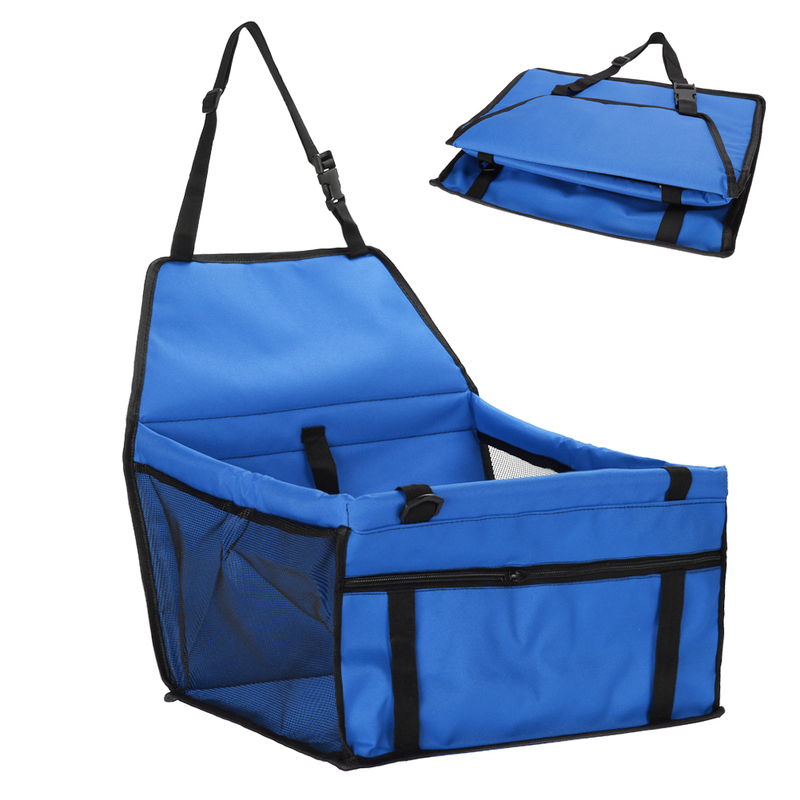 Washable construction, folds away for easy storage. Provides ample storage space. 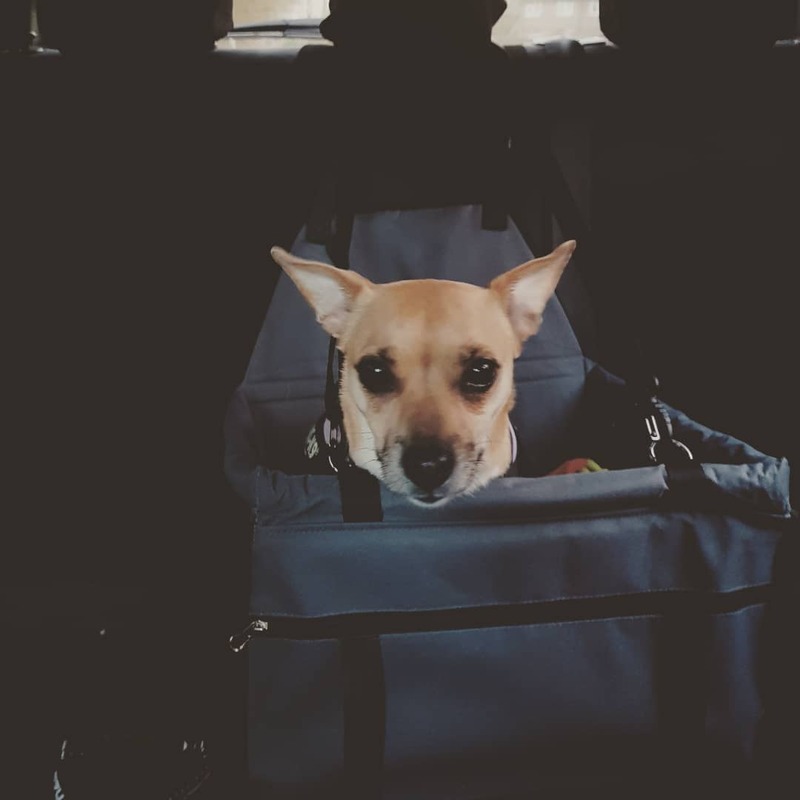 Zippered storage pockets small pet essentials. 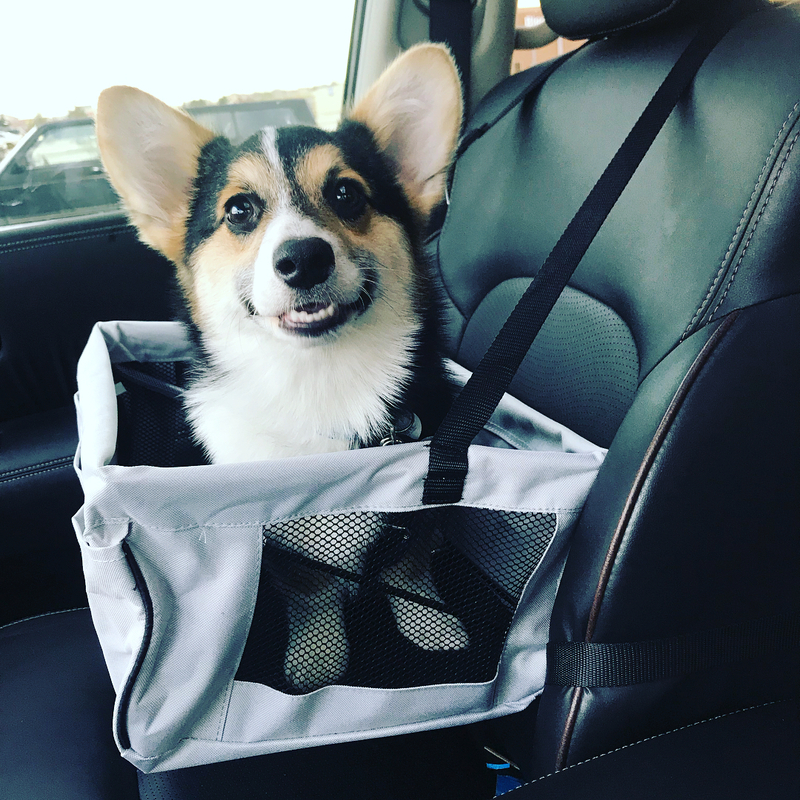 Fastens securely to car seat. Adjustable interior tether attaches to pet collar/harness to secure. Quick and easy installation. 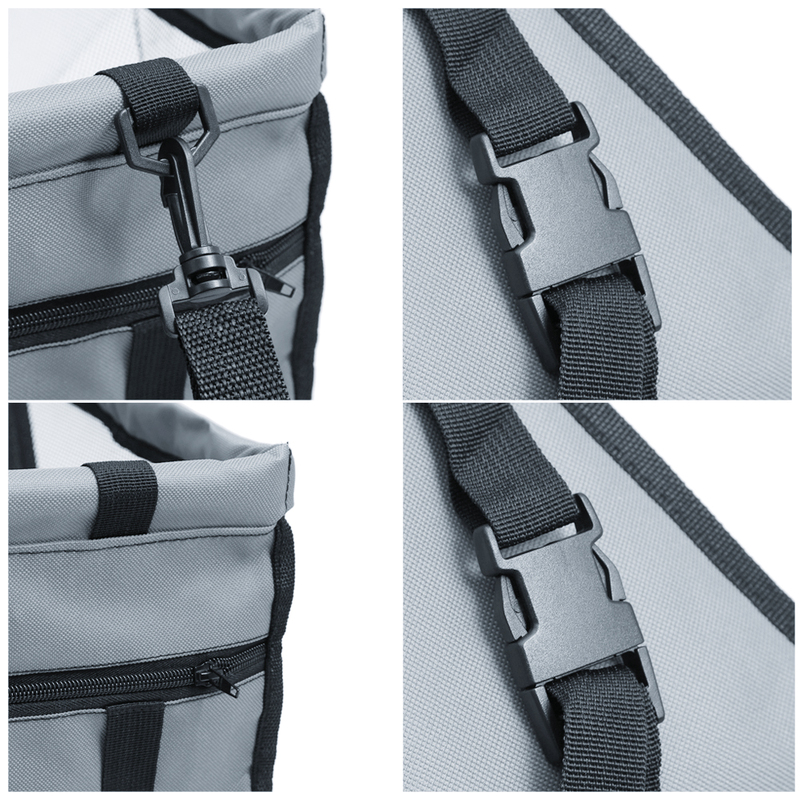 Built-in adjustable back strap attaches to headrest or as shoulder strap.